Mahershala Ali, Emma Stone and Viola Davis have been confirmed as presenters for this year’s Oscars. 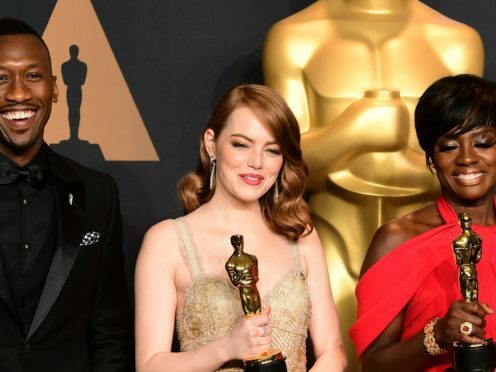 The three Hollywood stars were the winners of the acting categories at last year’s awards – Stone won best actress for La La Land, Ali won best supporting actor for Moonlight and Davis won best supporting actress for Fences. The winner of the best actor award, Casey Affleck, was already known to not be attending the Oscars. The Manchester By The Sea star would have been expected to present the best actress award, according to the show’s tradition, but in January he withdrew from the hosting role. In 2010 Affleck was sued by two women for alleged sexual harassment before the lawsuits were settled out of court. He has vehemently denied the sexual harassment claims which were alleged to have happened during the making of the film I’m Still Here. Chadwick Boseman, Laura Dern, Jennifer Garner, Greta Gerwig, Tiffany Haddish, Tom Holland, Kumail Nanjiani, Margot Robbie and Daniela Vega are the others in the first slate of stars confirmed to be presenting awards at the Oscars. Robbie is nominated in the best actress category for her role in I, Tonya, and Gerwig is nominated in the best director and best original screenplay categories for Lady Bird. Nanjiani is nominated for best original screenplay for The Big Sick, along with Emily V Gordon. Oscar producers Michael De Luca and Jennifer Todd said in a statement: “Whether returning to the Oscars stage, or gracing it for the first time, each of these artists bring their own distinguishing and energetic appeal. The nominations for the Oscars are led by Guillermo Del Toro’s The Shape Of Water, which has 13 nods, while Dunkirk, directed by Christopher Nolan, has eight. Jimmy Kimmel will host the 90th Academy Awards from Hollywood’s Dolby Theatre on March 4.